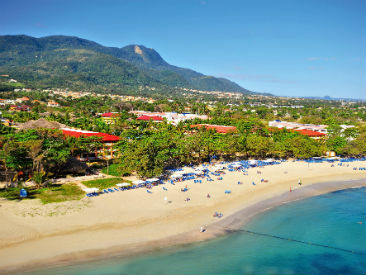 Be Live Collection Marien is an all-inclusive, beachfront, family-friendly resort, located on the golden sand beaches of beautiful Puerto Plata. Whether you are looking for a romantic escape or a vacation full of family fun, Be Live Collection Marien is the perfect mix of entertainment and activities for an active couple or family. With activities for adults and kids, both separate and together, Be Live Grand Marien is a vacation experience that is tailor made for even the most selective guests. 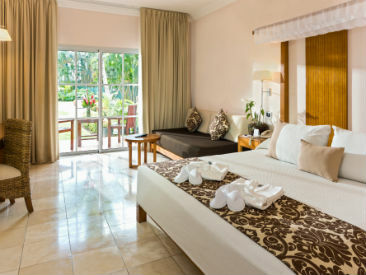 Located along Costa Dorada Beach on the Dominican Republic's Amber Coast, facing a golden-sand beach and the waters of the Atlantic, Be Live Collection Marien resort has something for everybody! Whether you are looking for a romantic escape for a honeymoon, the perfect mix of entertainment and activities for an active couple, or the perfect family vacation with plenty of activities for the adults and kids both separate and together, the Be Live Collection Marien is an all-inclusive vacation experience that is tailor made for you. Located less than 30 minutes from the International Airport and about an hour from Santiago de los Caballeros and 3 miles from the town of Puerto Plata. Guests can lounge by the pool during the day or enjoy all of the fun daily activities program has to offer. There's also a spa if you're really looking to relax. At night guests can enjoy a delicious dinner at one of the seven restaurants and then head over to the dance bar for a few drinks. Situated on a great stretch of beach. It's away from the main Playa Dorada complex so feels a little more secluded, yet a very short cab ride from the entertainment that Playa Dorada offers. The hotel has a great selection of restaurants and some good entertainment for the evenings. Please note: that for the travel period Feb 1st - March 31st, 2018 we require that all guests have at least one minimum 24 year old adult in each room. 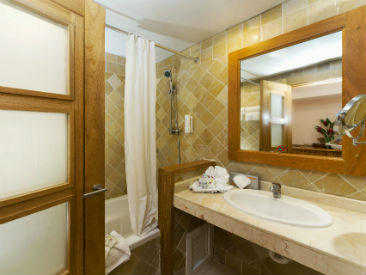 The hotel reserves the right to deny check-in of any room not complying with this min. age policy. *Guest must show proof of marriage at check in (honeymoon must be within 6 months of marriage). Minimum 3 nights stay. **Please request at the time of booking. *Proof of marriage must be presented at time of check in. Minimum 3 nights stay. The hotel requires either a credit card or cash deposit of $250.00 USD upon check-in in order to cover any extras or incidentals.